In the first module of EDTC 6102, I examined the ISTE Standards for Students. In asking questions about how my students can use technology to 1) Create and innovate, I found answers that connected to my own experiences in the SPU DEL Program. My search for an answer to my question led me to discover the Favorite Poem Project, developed through “a partnership among The Poetry Foundation, Boston University, the Library of Congress, and other organizations, with original funding from the National Endowment for the Arts” (Boston University). Most of the lessons for skills in interpreting and analyzing poetry in this resource can be accomplished without technology; however, I would use my class blog to share links to the resources with my students and use various other independent and collaborative formative assessment tools during the course of scaffolded learning in preparation for the video end project. The answer to my question was found in the project that involves students creating “My Favorite Poem” videos. The goal of the video project is to increase student engagement with poetry. 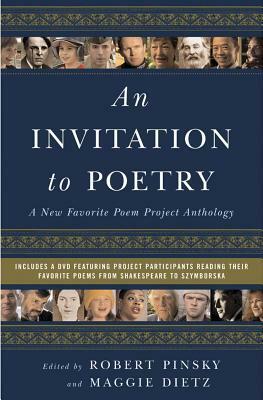 I would use the Favorite Poem Project at the end of a poetry unit. The strength of the project is the high level of individualization and personalization for the student, as well as the creation of an authentic creative product that can be shared with a wide audience. 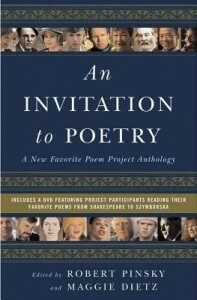 According to the SAMR model, the Favorite Poem Project represents modification (technology allows for significant task redesign) because students will be using technology to creatively engage with poetry in a way that significantly improves upon paper- and classroom-only-based activities (Puentedura). According to TPACK, this project allows the teacher to weave technological knowledge into the content and pedagogy of a poetry unit. The teacher can use as much or as little technology at each stage of the poetry unit, except for the obvious necessity of audio/visual technology for the end project. I would modify the project to allow students to choose to use a slideshow of carefully curated still shots or video footage in which they are not personally present with voiceover. I suggest this accommodation for students who are extremely shy about public speaking and for whom being in front of a camera would be difficult. In “The Power of Digital Story”, Bob Dillon wrote, “Classrooms, schools, and districts that are rich in story will better support the learning of students who are already living in a culture of digital storytelling” (2014). Digital storytelling allows for modification (tech allows for significant redesign) or redefinition (tech allows for the creation of new tasks, previously inconceivable), according to the SAMR model (Puentedura), depending on the extent of the audience. According to TPACK, digital storytelling involves “an understanding of how teaching and learning can change when particular technologies are used in particular ways” (Koehler & Mishra 2009). As a student, this blog is an example of a digital story – that of my adventures with educational technology. I am aware that my audience is greater than my instructors. As I share my story and immerse myself in the stories of the other students in my SPU DEL cohort – through their blogs – I am helping to build a learning environment that is rich in story. I am learning how to be a better storyteller – and a better teacher of storytelling – as a result the intense personal reflection required to produce each post, as well as the exposure to my cohort mates’ reflections. As a teacher and digital education leader, my takeaway from Dillon was the mandate to use digital storytelling to create an engaging learning environment for my students and colleagues that promotes choice and voice, shares best practices, and celebrates learning (2014). Boston University (n.d.). “Favorite Poem Project.” Favorite Poem Project. Web. 08 Feb. 2016. Dillon, B. (2014). The power of digital story. Edutopia. Web. 07 Feb. 2016.
arts integration, Coggle, digital storytelling, EDTC 6102, Favorite Poem Project, ISTE Student Standards, LoC, NEA, poetry, SAMR, SPU DEL, The Poetry Foundation, TPACK. Bookmark.